Just finished putting up the Christmas Lights and decided to do a little photography! An electrical Storm was scheduled for that night and sure enough it swept across in a south-easterly direction, missing my place, but I did get a glimpse of the lightning from where I was. Anyway, while happy snapping away I managed to capture one of the lightning bolts inside the HSV badge! It is a little blurry, but at least a nice desktop background for my computer! 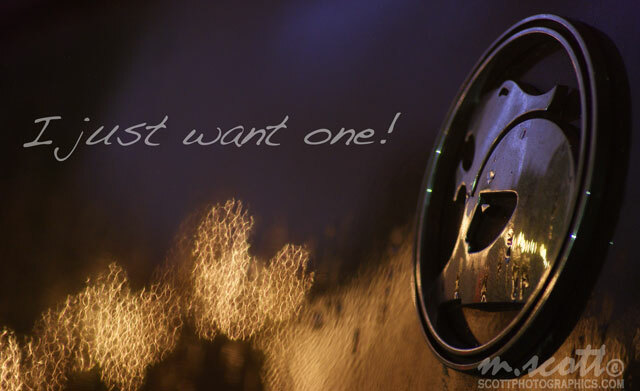 The HSV (Holden Special Vehicles) slogan is ‘I just want one!’, perfect for the dead space in the top-left frame. In March I was photographing down at South Bank Promenade, Melbourne on a Saturday night, when the weather was still pleasant enough to have dinner by the Yarra River. As always there were the street performers – Fire Twirlers, and as I found out, also a perfect photo opportunity to experiment with slow shutter speeds! Later in Photoshop I grayscaled the crowd and masked the performer into the spotlight. 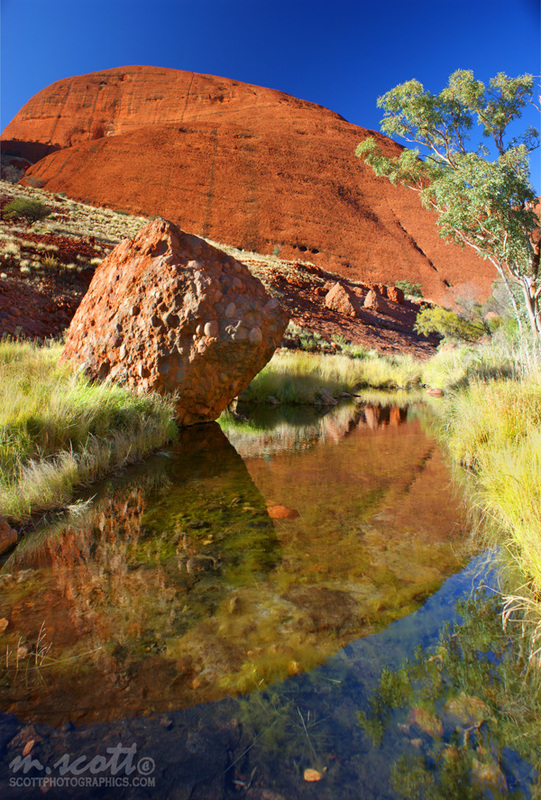 Sorting through the remains of the photographs I took on my Red Centre Trip – I found three photographs unstitched. This photo stitch is of the remarkable Kata Tjuta/Olgas sandstone formations, located not far from the younger rock Uluru/Ayers Rock. Using my polariser I partially picked up some of the detail in the reflections, and then later in Photoshop uncovered the shadows with adjustment layers and layer masking (screenshot below). 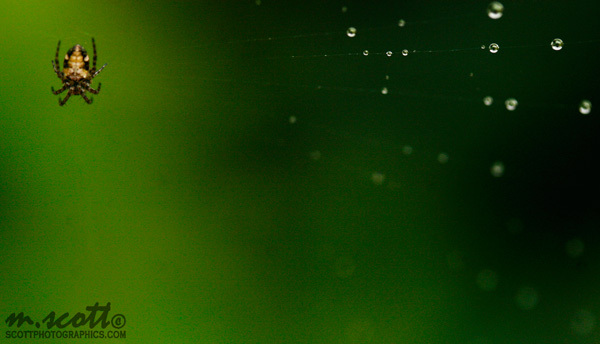 This spider was very patient with me while I tried to focus on his thin web. I was using a Canon 30D with a Macro 1:2.8 Lens, so you can get an idea of the size of the spider (very small). You may also be interested in my photograph of a BEE here! 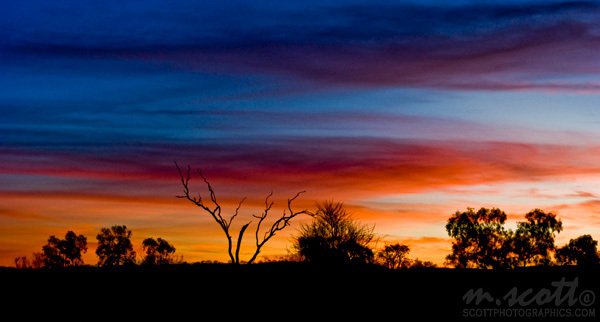 The sky in the Outback is always a rich deep blue and the sunsets are just as stunning – The black silhouettes of the harsh outback lands and a painterly mirage of clouds backlit by the falling Sun. There was a slight breeze while I was photographing the sunset and I had in mind that I would want to later lift the vibrant colours of the clouds in Camera Raw with an HDR effect, so instead of the three+ exposures I opted for raw. The screenshot below shows my adjustments in Camera Raw!